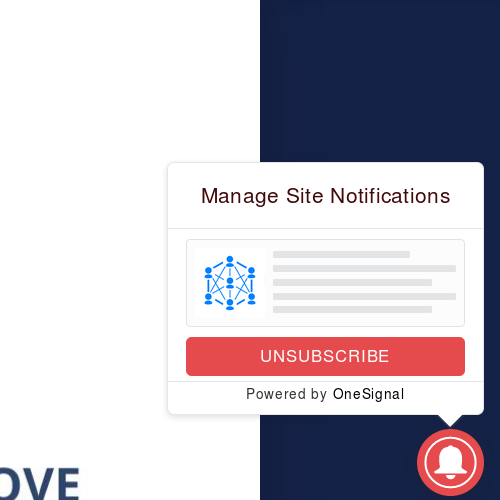 Please, visit Joocial News to review how Web Push notifications works, powered by OneSignal. Please, double check to have all the required IDs and Keys, before proceeding with the rest of the configuration: App ID, REST API Key, User Auth Key and Safari Website Push ID (Optional). Service workers are declared with a manifest and several files in the root folder. The plugin generates a basic manifest to declare the Web Push service. If you already have other service workers, then you must follow the manual installation steps, and configure the manifest according to your requirements. Once the manifest is defined, only the service specific files must be copied in the root folder (OneSignalSDKUpdaterWorker.js and OneSignalSDKWorker.js), as shown below. By default, Admin Tools does not allow the access to these files since they are not part of a standard Joomla site. To enable the access, please add them into "Exceptions / Allow direct access to these files". 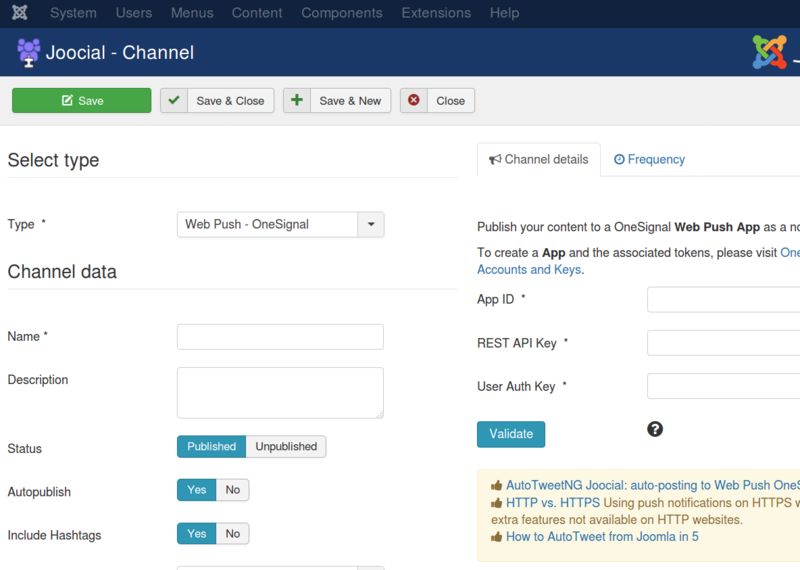 The original files, provided by OneSignal, can be downloaded here: Web Push SDK Setup (HTTPS) - Upload required files . Download and unzip the SDK files. Web Push SDK Setup (HTTPS) - Upload required files . Download and unzip the SDK files. 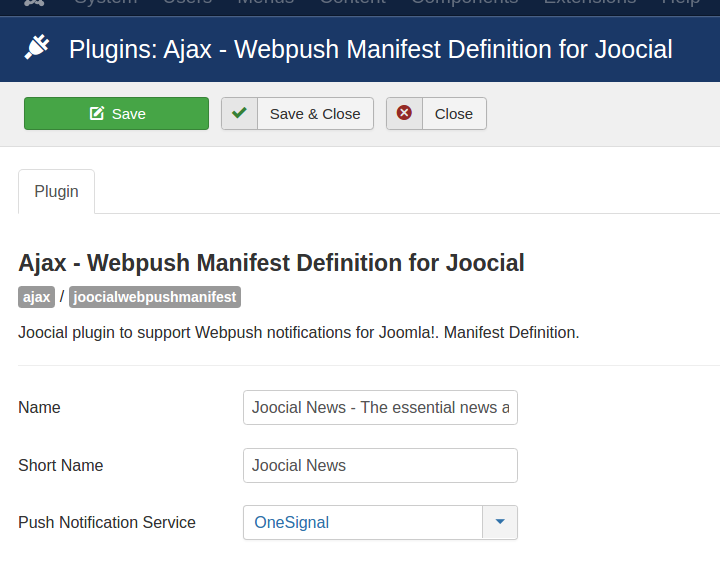 Access your Joomla administrative area, visit the Plugin manager and configure the System - Joocial Webpush plugin.